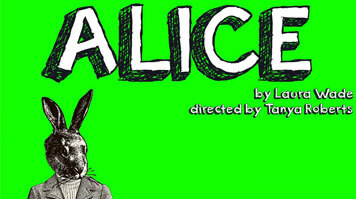 Drama and Performance Students from London South Bank University (LSBU)'s School of Arts and Creative Industries are set to perform Alice, by contemporary playwright Laura Wade, in the opening performance of the 2015-16 LSBU theatre season. The LSBU Student Theatre Company will stage Wade's modern adaptation of Lewis Carroll’s Alice in Wonderland, in the year of the 150th anniversary of the classic tale. Wade’s script explores bereavement and imagination, through a wonderland escape-hatch. The production will be directed by Tanya Roberts, Artistic Director of Metra Theatre, whose production of 3 Sisters - an adaptation of the Chekhov classic performed on a canal boat - was programmed by The Lowry, The Wales Millennium Centre and The Oxford Playhouse theatres. Tanya was previously an assistant director at The Young Vic, and frequently works in education and with The International Shakespeare Festival in Gdansk, Poland. The students will be performing in the Edric Theatre, LSBU's dedicated space for theatre and performance, situated at the heart of the university's Southwark Campus.